Most drug discovery nowadays is carried out by pharmaceutical companies. However, they rely heavily on findings from research carried out in academic institutions. The ten largest multinational drug companies together employ about 900,000 people. They spend an estimated £33 billion each year on research and development, and about twice that on marketing; total expenditure is in excess of £110,000 per employee. In contrast, the NHS, one of the biggest employers in the world, has more than 1.7 million employees and an annual budget of about £116 billion, about £68,000 per employee; the drugs budget is about £14 billion. There are about 240 million patient consultations per year, of which 80% occur in general practice, at about £25 each, and 20% in secondary care, at about £2300 each. UK universities employ about 383,000 people, of whom 186,000 are academics. Total annual expenditure is about £28 billion, about £73,000 per employee. Current estimates of the costs to a company of developing a new drug range from $500 million to $1500 million or more. Misleading accounting techniques may explain some of the higher estimates. However, profits from the sales of drugs after marketing can be very large. Table 1 shows the reported global incomes of the top ten selling products in 2014; five of them are monoclonal antibodies. The top 50 products in this list all earned sales of more than $2 billion in 2014. Nine were for cancers of some sort, including two for multiple myeloma, six were for diabetes mellitus, of which four were formulations of insulins, five were for multiple sclerosis, four were for inflammatory arthropathies, including one non-steroidal anti-inflammatory drug, three were lipid-modifying agents, three were for asthma, two were for hepatitis C, two were angiotensin receptor antagonists, two were anticoagulants, and two were combination products for HIV/AIDS. Drugs can be discovered in several ways. The discovery that sildenafil caused penile erection was made when it was being tested for its potential as a vasodilator to treat coronary artery disease. The discovery that isoniazid alleviated depression while it was being used to treat tuberculosis led to the development of iproniazid and other monoamine oxidase inhibitors. Clonidine was originally tested as a nasal decongestant and was then found to lower the blood pressure. The hypoglycaemic effects of sulfonamides in patients being treated for typhoid fever led to the development of the structurally related sulfonylureas as oral hypoglycaemic drugs. Sometimes faulty reasoning leads to a lucky discovery. In the early 1940s Nana Svartz in Sweden reasoned that rheumatoid arthritis, which was thought to be an infective disease, would respond to a molecule containing a sulfonamide to combat the infection and a salicylate as an anti-inflammatory agent. She therefore synthesized a new molecule, sulfasalazine (salicylazosulfapyridine), from sulfapyridine and 5-aminosalicylic acid (now called mesalazine), but found that it had no effect in rheumatoid arthritis. However, a rheumatoid type of arthropathy sometimes occurs in patients with ulcerative colitis, and the therapeutic efficacy of sulfasalazine in ulcerative colitis was noted when those patients were given the drug, later leading to the development of other aminosalicylates. The wheel later came full circle with the use of sulfasalazine in the treatment of rheumatoid arthritis. The discovery of lithium in the treatment of affective disorder was also serendipitous. 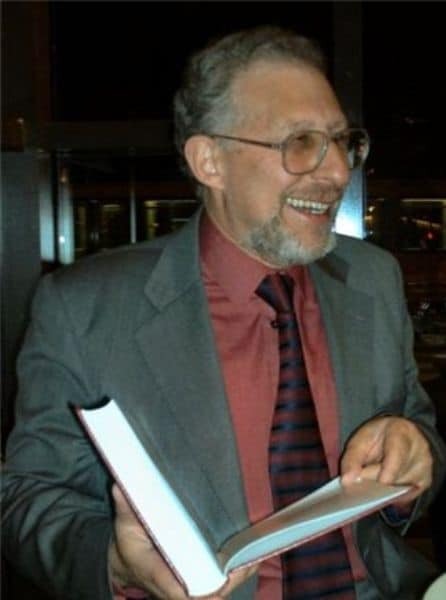 In the 1940s Jonathan Cade in Australia was looking in the urine of patients with mania for substances that might be responsible for their illness. He extracted the urine, tested the extracts in guinea-pigs, and observed that urates seemed to be toxic. Cade used the lithium salt to make the urate soluble for injection into the animals. He noted that they were sedated and wondered whether lithium salts might sedate manic patients. Examples are given in Table 2. Some of these medicines are derivatives of substances in the plants with which they are associated; for example the bisbiguanides, such as metformin, are derivatives of guanidine, which is present in Galega officinalis, and which was known for many years to have hypoglycaemic properties. The compound originally called taxol, later renamed paclitaxel, was discovered during a multimillion dollar search by the US Department of Agriculture and the National Cancer Institute, looking for anticancer drugs in plants. Over a period of 20 years they screened an estimated 6% of the world’s plants and discovered one effective compound. Artemisinin was found by a Chinese pharmacologist, Youyou-Tu, who investigated a recipe in a fourth century therapeutics text by the Chinese physician Ge Hong (284–363); her discovery won her the 2015 Nobel Prize. For example, the anticoagulant hirudin from the medicinal leech (Hirudo medicinalis). Examples are given in Table 3. Some such endogenous agents are toxins that are used to study physiological systems; these include apamin (from bee venom), charybdotoxin (from Leiurus quinquestriatus, the Israeli scorpion), dendrotoxin (from the green mamba, Dendroaspis angusticeps), and iberiotoxin (from Buthus tamulus, the Eastern Indian red scorpion), all of which are inhibitors of potassium channels, and tetrodotoxin from the puffer fish (fugu), which is an inhibitor of sodium channels. 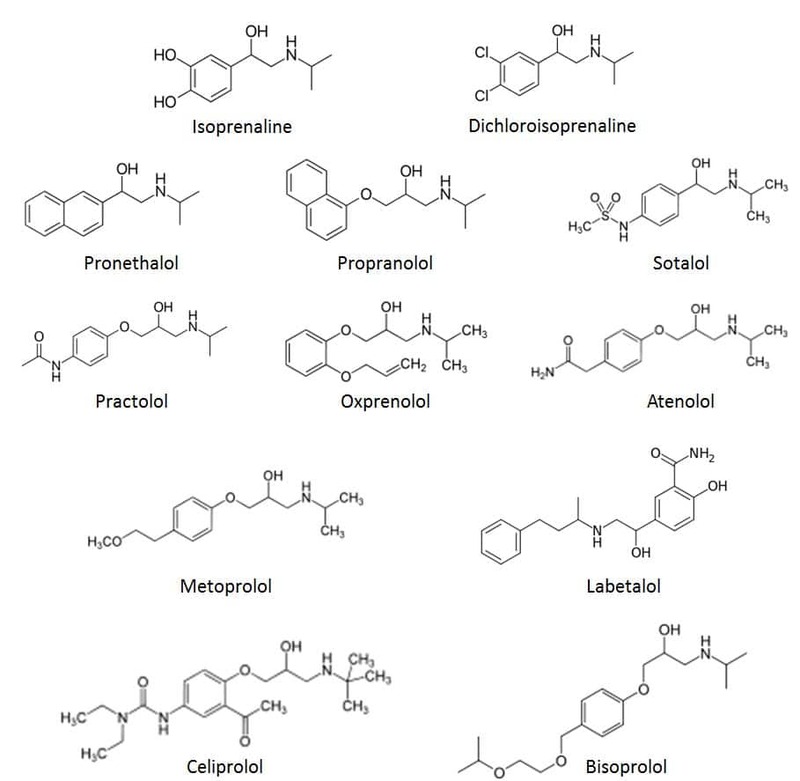 Examples of drugs that were discovered because they are active metabolites of pre-existing compounds are given in Figure 1 and Table 4. 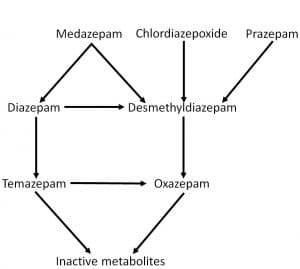 Other drugs that were discovered independently and that are metabolized to active compounds include codeine, diamorphine, and tramadol (all metabolized to morphine), tamoxifen (metabolized to 4-hydroxytamoxifen), and aspirin (metabolized to salicylate). 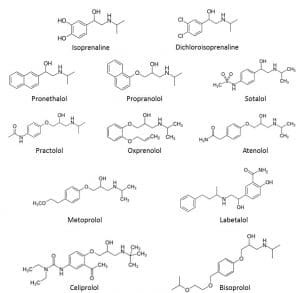 In some cases active metabolites cause adverse effects; these include the metabolites of lidocaine (the glycine xylidides) and pethidine (norpethidine). Some drugs turn out to be inactive precursors of an active compound; for example, prednisone is converted to prednisolone, methimazole is converted to carbimazole, and the first sulfonamide, sulfanilamide, was discovered as a metabolite of the dyestuff Prontosil (sulfonamidochrysoidine). In other cases inactive precursors (prodrugs) are specifically synthesized as inactive compounds that are converted after administration to the active compound; in some cases the prodrug is better absorbed after oral administration (e.g. talampicillin and pivampicillin compared with ampicillin), but in some cases intracellular conversion is necessary for activation, as in the case of nucleoside analogues (e.g. cytosine arabinoside), which are activated by intracellular phosphorylation. The understanding of drug/receptor interactions has led to the synthesis of specific receptor agonists and antagonists, based on modifications of the structures of known agonists. Computer technology also allows the design of new compounds by an examination of the three-dimensional structures of existing compounds. Similarly, the first histamine H2 receptor antagonists (e.g. 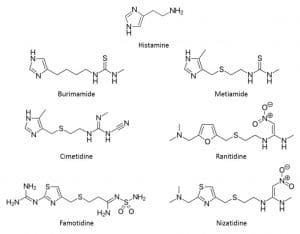 burimamide and metiamide, which were never used clinically, and cimetidine and ranitidine) were based on the structure of histamine (Figure 3). 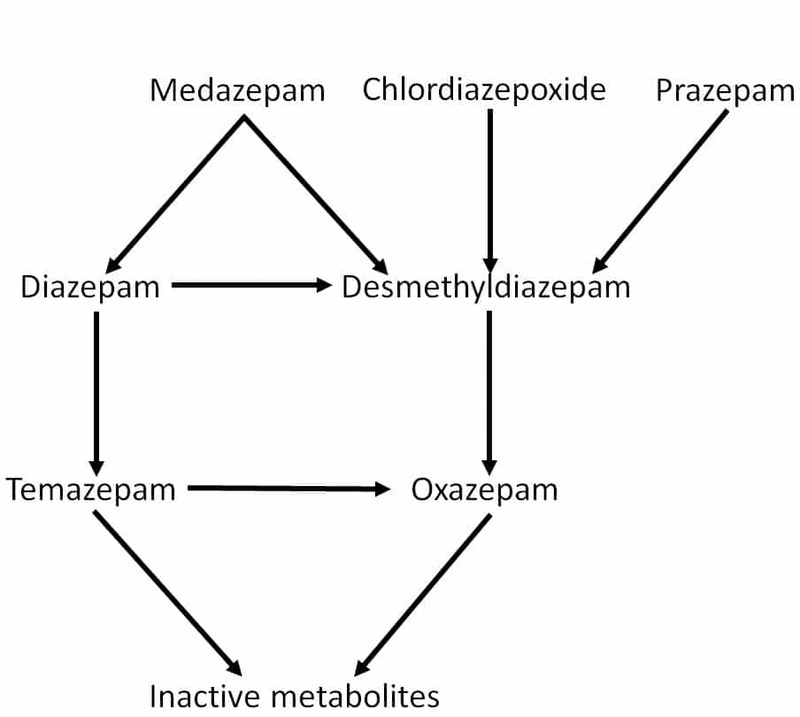 Both of these groups of drugs were developed by Sir James Black, who consequently won the Nobel prize in 1988.
the use (1967) of already available peripheral dopa decarboxylase inhibitors, which do not enter the brain, thus diminishing the peripheral adverse effects of dopamine and allowing the use of lower dosages with the same effect on the brain as higher dosages without the use of inhibitors. TNF alfa blocking agents were introduced for the treatment of rheumatoid arthritis, based on the finding of increased TNFα concentrations in the joints of affected patients. Antiviral drugs used in the treatment of hepatitis C have been synthesized to have specific inhibitory actions on viral RNA polymerase (sofosbuvir) and serine kinase (boceprevir, simeprevir, and telaprevir). 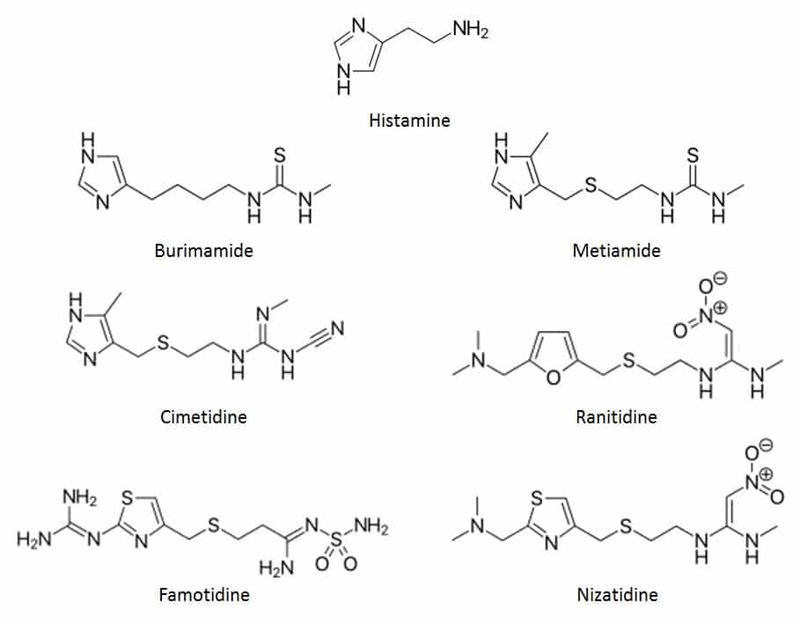 Many other compounds are inhibitors of tyrosine kinases of different types of receptors and of other types of kinases; examples are listed in Table 6. Many monoclonal antibodies have been synthesized expressly to have actions on specific targets thought to be involved in diseases; examples are listed in Table 7. Cathepsin K inhibitors were developed as bone resorption inhibitors, based on the observation that mutations of cathepsin K result in increased bone mass with reduced bone resorption. When a new drug has been discovered it goes through a prescribed development process, after which it is licensed for use and marketed. Preclinical studies of a new chemical entity include extensive pharmacological testing in vitro and in animals, including pharmacokinetic studies and short-term and long-term toxicity testing, so that its toxicological properties can be defined in a rough dose-response fashion. The duration of this toxicological testing is geared to the likely duration of therapeutic use. At this stage other special studies may be necessary, such as tests of the effects of the compound on fertility and reproduction, teratogenicity testing, and tests for mutagenicity and carcinogenicity. Next the pharmacokinetics of the drug are studied after single and multiple doses in healthy people. If it has measurable effects, its pharmacology is studied and clinical, biochemical, and haematological adverse effects and reactions are assessed. In some cases (for example, drugs for AIDS or cancer) healthy volunteer studies are not possible and the drug is tried immediately in patients. Phase 0 studies are first-in-human studies. They involve the administration of tiny doses (microdoses) of the drug in a few subjects, in order to collect preliminary pharmacokinetic and pharmacodynamic information. They do not cover safety or efficacy. There are guidelines governing the introduction of new chemical entities into humans, which were formulated in the wake of the disastrous first use of TGN1412, an agonistic anti-CD28 monoclonal antibody, which was first given to six healthy volunteers in a research unit on 13 March 2006. Within hours all six were in intensive care with severe inflammatory reactions that progressed to multiorgan failure. They had developed headache within 50–90 minutes, lumbar myalgia, rigors within 58–120 minutes, and a fever over 38°C within 2.5–6.5 hours. They subsequently developed hypotension, tachycardia, dyspnea and tachypnea, respiratory failure, radiological pulmonary infiltrates, and evidence of disseminated intravascular coagulation; two had peripheral limb ischemia; one developed dry gangrene of the fingers and toes. All developed lymphopenia, with significant falls in CD3, CD4+, and CD8+ counts. All recovered, but had prolonged memory problems, headaches, and inability to concentrate. This syndrome was due to a massive cytokine storm. Serum concentrations of TNFα rose markedly within 1 hour, and TNFγ, IL2, IL4, IL6, and IL10 all increased over days 1 and 2; there were very large increases in interferon gamma at 4 hours and on day 2. In vitro experiments had not predicted this effect. The strategy for preclinical development of a new medicine and the experimental approaches used to assemble information relevant to the safety of phase I trials must be regarded as science-based decisions, made and justified case by case by investigators with appropriate training. Developers of medicines, research funding bodies, and regulatory authorities should expedite the collection of information on unpublished preclinical studies and phase I trials, and explore the feasibility of open access to this database. Regulatory authorities should consider ways to expedite the sharing between regulators world wide of information on Suspected Unexpected Serious Adverse Reactions (SUSARs) in phase I trials, and explore the feasibility of open access to these data. A broader approach to dose calculation, beyond reliance on the “No Effect Level” or “No Adverse Effect Level” in animal studies, should be taken. The calculation of starting dose should use all relevant information. Factors to be taken into account include the novelty of the agent and its mechanism of action, the degree of species specificity of the agent, the dose-response curves of biological effects in human and animal cells, dose-response data from in vivo animal studies where relevance to human has been validated, the calculation of receptor occupancy versus concentration, and the calculated exposure of targets or target cells in humans in vivo. The “MABEL” (minimum anticipated biological effect level) approach is a good option for achieving this. If different methods give different estimates of a safe dose in humans, the lowest value should be taken as the starting point in first-in-human trials and a margin of safety should be introduced. When it is likely that preclinical information, for any reason, may be a poor guide to human responses in vivo, the starting dose in first-in-human trials should be calculated to err on the side of caution. Careful consideration should be given to the route and the rate of administration of the first dose in first-in-human trials, with careful monitoring for an exaggerated response. Decisions on the starting dose and dose escalation should be made on a case-by-case basis, and should be scientifically justifiable, taking account of all relevant information. The decision whether to conduct a first-in-human trial in healthy volunteers or in volunteer patients should be carefully considered and fully justified, taking into account all factors relevant to the safety of the subjects and the value of the scientific information that is likely to be obtained. Principal Investigators in first-in-human trials should always be appropriately qualified and satisfy themselves that they know enough about the agent, its target, and its mechanism of action to be in a position to make informed clinical judgements. In first-in-human studies in which there is a predictable risk of certain types of severe adverse reaction, a treatment strategy should be considered beforehand. This should include the availability of specific antidotes, when they exist, and a clear plan of supportive treatment, including the pre-arranged contingency availability of ITU facilities. First-in-human studies of higher-risk medicines should always be conducted in an appropriate clinical environment, supervised by staff with appropriate levels of training and expertise, with immediate access to facilities for the treatment and stabilization of individuals in an acute emergency and with pre-arranged contingency availability of ITU facilities. New agents in first-in-human trials should be administered sequentially to subjects with an appropriate period of observation between dosing. The interval of observation between sequential dosing of the subjects should be related to the kind of adverse reactions that might be anticipated based on the nature of the agent, its target, and the recipient. A similar period of monitoring should occur between sequential doses during dose escalation. More communication should be encouraged between developers and the regulator at an earlier stage before an application is filed, especially for higher-risk agents, to ensure that there is time for appropriate consideration of any safety concerns, without introducing undue delay in product development. Ways to increase communication between the regulator and research ethics committees should also be considered. For appraisal of applications for trials of higher-risk agents, as defined by the nature of the agent, its degree of novelty, its intended pharmacological target, and its intended recipient, the regulator should have access to additional opinions from independent, specialist experts with research knowledge of their fields. An Expert Advisory Group (EAG) of the Commission on Human Medicines, or a similar body, might undertake this role, with a core membership of appropriate experts and the ability to co-opt additional experts as the need dictates. Consideration should be given to introducing some flexibility in the time-scale of clinical trial appraisal in exceptional cases of unusual complexity. The availability of “hands-on” experience in the planning and conduct of clinical trials should be widened, for example by secondment periods to commercial organizations within postgraduate training programmes, or the development of specialist centres within the [UK’s] NHS and Universities (see next recommendation). The feasibility of developing specialist centres for phase I clinical trials of higher-risk agents and advanced medicinal products should be explored. The regulatory process for first-in-human trials of higher-risk agents and advanced medicinal products based on innovative technologies should be subject to frequent review. Phase 1 studies in patients or healthy volunteers concentrate on the clinical pharmacology of the drug, short-term safety, efficacy, pharmacological effects, and pharmacokinetics. These early studies also provide information about the likely dose range to be used in phase 2 studies. Adverse reactions can occur in phase 1 studies, despite apparent safety during first-in-human studies. BIA 10-2474 was an inhibitor of fatty acid amide hydrolase (FAAH), an enzyme involved in the metabolism of anandamide and other endocannabinoid neurotransmitters. Single doses up to 100 mg, fed and fasting, and doses of up to 20 mg/day on 10 consecutive days produced no serious adverse events. However, when 8 volunteers were given 50 mg/day for 10 days in a phase 1 study in France, in January 2016, adverse events started to appear after 5 days. Haemorrhagic and necrotic lesions were seen on MRI scans in the hippocampus and pons and one volunteer died. Complete inhibition of FAAH had been observed at a single dose of 1.25 mg. In phase 2 studies further evidence of safety and efficacy is obtained in larger numbers of patients, often with a surrogate clinical endpoint, with further attention to dose-ranging and adverse effects. Currently, a large number of drugs in development fail during phase 2. It has been estimated that success rates during phase 2 in large pharmaceutical companies fell from 28% in 2006/7 to 18% in 2008/9. In one survey of 108 compounds, 51% failed because of lack of efficacy, 29% because of “strategic reasons”, and 19% because of harms. Phase 3 studies are full-scale clinical trials, in which the effects of the drug are studied in relation to an important clinical endpoint. These may be placebo-controlled studies or comparisons with other active compounds. In comparative studies the intention is usually to demonstrate superiority or, at the very least, non-inferiority. So-called “real-life” trials involve a comparison of the new agent with standard therapy; such trials often include a pharmacoeconomic assessment of the added value that a new treatment brings in relation to its cost. Of drugs that reach phase 3, about 50% can be expected to go on to be marketed. After success in phase 3 a manufacturer will apply to the regulatory authority for authorization to market the drug as a medicinal product, presenting a dossier of evidence to support the application. If the regulatory authority is convinced about the quality of the pharmaceutical product, the efficacy of the medicine in the conditions for which the licence is to be issued, and the benefit to harm balance, the medicinal product will receive a marketing authorization (commonly called the product licence). Marketing authorizations are issued by regulatory authorities in different countries (e.g. the Medicines and Healthcare products Regulatory Agency in the UK and the Food and Drug Administration in the USA) or by a supranational organization, such as the European Medicines Evaluation Agency (EMA). The 1968 Medicines Act introduced the UK system whereby applicants are granted Marketing Authorizations, permitting them to market medicinal products for specified indications under specified conditions. Matters relating to prescribing were later covered by The Prescription Only Medicines (Human Use) Order 1997, which partially repealed the 1968 Act. That Order was later mostly revoked by the Human Medicines Regulations 2012, which consolidated the law contained in previous instruments. Those who hold Marketing Authorizations in the UK are known as Marketing Authorization Holders (MAHs). Separate licences are issued to manufacturers of medicinal products (who are usually the MAHs) and wholesale dealers. Because a product licence is granted to the MAH, not the product, terms such as “licensed drug”, “licensed medicine”, and “licensed product”, commonly used colloquially, are inaccurate. Neither the drug itself nor the medicinal product in which it is formulated is licensed. It is the MAH who is licensed, i.e. given permission, to market the product. This implies that a Marketing Authorization can be defined as “permission granted to a Marketing Authorization Holder to sell, supply, or export, procure the sale, supply or exportation, or procure the manufacture or assembly for sale, supply or exportation of a medicinal product”. An “unlicensed product” can be defined, based on the definition in the Unlicensed Medicinal Products for Human Use (Transmissible Spongiform Encephalopathies) (Safety) Regulations 2003, as “a medicinal product for human use [with some exceptions, such as herbal products], in respect of which no marketing authorization has been granted by the [national] licensing authority or by the European Medicines Agency”. (ii) making a medical diagnosis. (d) an Article 126a authorization. An Article 126a authorization is one that can be issued to license a product whose use is justified for public health reasons and that has been imported from another Member State in the European Union. Any medicinal product for which a UK marketing authorization has not been granted is an unlicensed product in the UK, even though it may be licensed elsewhere. This is made explicit in Section 7 of the 1968 Act, which stipulates that “[n]o person shall import any medicinal product except in accordance with a product licence”. Importation from non-EU states is covered in the 2012 Human Medicines Regulations. Manipulation of a licensed product can result in one that is unlicensed. For example, using a solution of bevacizumab for intravitreous injection from a vial marketed for treating metastatic colorectal cancer according to the licence would be using it off-label (see below). On the other hand, if an undiluted solution was, say, diluted before use or divided into several aliquots, the secondary formulations would be regarded as being unlicensed. How much manipulation results in an unlicensed product is debatable. The licensing system in the UK is intended to protect patients from the use of medicines with a poor benefit to harm balance, based on quality, efficacy, and safety. The Marketing Authorization, or licence, should be distinguished from the label. The 1938 Food, Drug and Cosmetics Act in the USA defined a label as “a display of written, printed, or graphic matter upon the immediate container of any article; and a requirement … that any word, statement, or other information appear[ing] on the label shall not be considered to be complied with unless such word, statement, or other information also appears on the outside container or wrapper, if any there be, of the retail package of such article, or is easily legible through the outside container or wrapper.” “Labelling” was defined in the 1938 Act as “all labels and other written, printed, or graphic matter (1) upon any article or any of its containers or wrappers, or (2) accompanying such article.” Similarly, a drug label is described in The Human Medicines Regulations 2012 as “a notice describing or otherwise relating to the contents”. The term “label” is now used to mean not merely the “written, printed, or graphic matter” that accompanies the formulation, but the informative content of such matter, as contained in the UK in the Summary of Product Characteristics (SmPC), previously called the Product Data Sheet. The contents of the SmPC (Table 8) are prescribed by EU law. If a drug is prescribed in a way that differs from the approved ways described in the label, it is said to be prescribed “off-label”. In other words, off-label prescribing is the prescribing of a licensed product in an unapproved way, which is any way that differs from the ways specified in the SmPC. This is not the same as prescribing an unlicensed product. Table 9 lists different ways in which off-label prescribing may occur. (d) use a product that is not licensed anywhere, but which has been manufactured in the UK as a “special”. Phase 4 studies are carried out after a drug has been marketed. They are designed to obtain information on the effects of the drug in populations who have not been studied before marketing and to detect adverse drug reactions or interactions, in that case sometimes called phase 5 studies. Surveillance of the effects of a new drug continues after marketing, both formally and informally. There is a post-marketing event monitoring (PEM) scheme in the UK, for research into adverse drug reactions after marketing, and doctors are also encouraged to report suspected adverse reactions informally to regulatory agencies (for example, the yellow card scheme in the UK and Medwatch in the USA). in the USA require the use of a Black Box warning, which confirms that the drug carries a significant risk of a serious adverse reaction. MAHs may take actions themselves without being required to do so by the regulators. The final action would be to suspend or revoke the licence, and the MAH sometimes withdraws a drug voluntarily before being forced to by the regulator. These options are not mutually exclusive and can be undertaken sequentially or in parallel, depending on the case and urgency. If new serious adverse reactions are noted the drug may be withdrawn or its licensed indications may be changed. Examples of medicines that have been withdrawn or have had their labels changed are given in Table 10.
o because alosetron does not cure irritable bowel syndrome or work for everyone, women are advised to stop using it and to tell their doctors if their symptoms do not improve within 4 weeks of starting the drug.